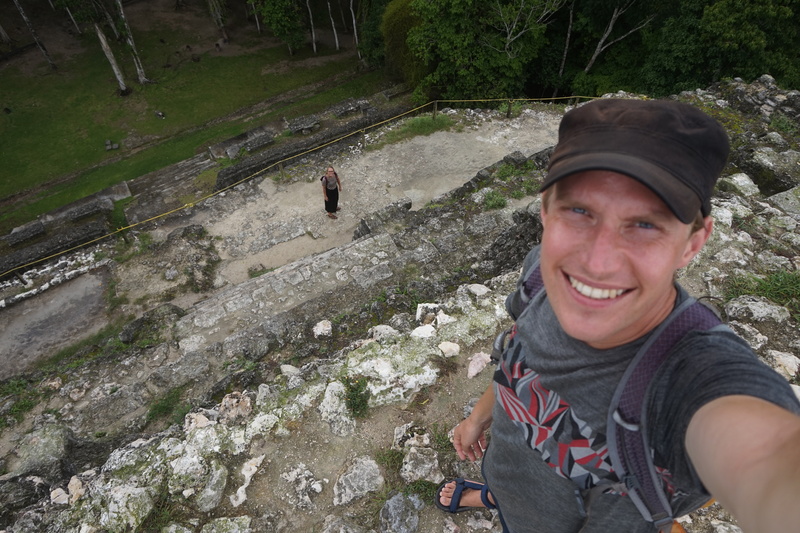 After exploring gigantic Mexico we headed for a much smaller destination: Belize. With only 387,000 people, an area of 23,000 km2, their Caribbean English, and many ethnic groups it felt like another world. We left Mexico by bus from Tulum. A very touristed place, with loads of tour companies and the like. We arrived in Orange Walk, Belize. A tiny town with next to no tourist setup, and to top the feeling of being in the middle of nowhere the bus dropped us off in an empty parking lot, and not at a bus station. Luckily, Orange Walk has at least one lovely guesthouse owner used to tourists, and soon Ricky took us under his wings and roof at Casa Ricky’s. 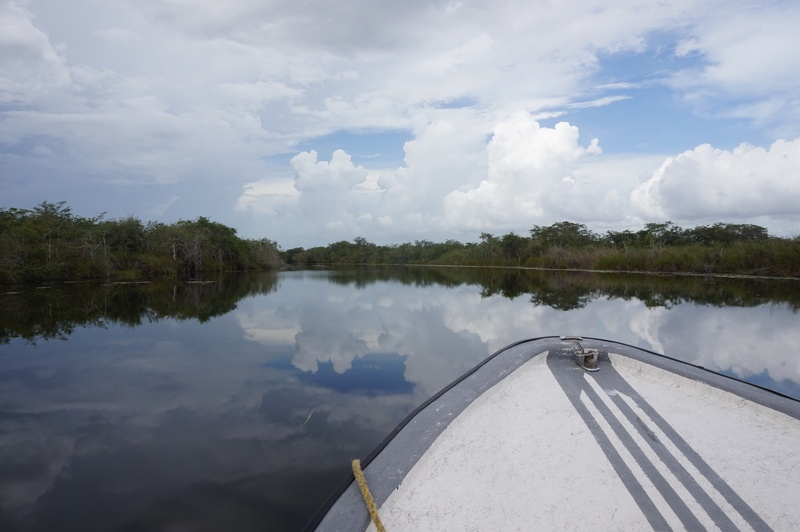 Before arrival he had set us up with the local tour company operating river tours to the remote ruins of Lamanai. 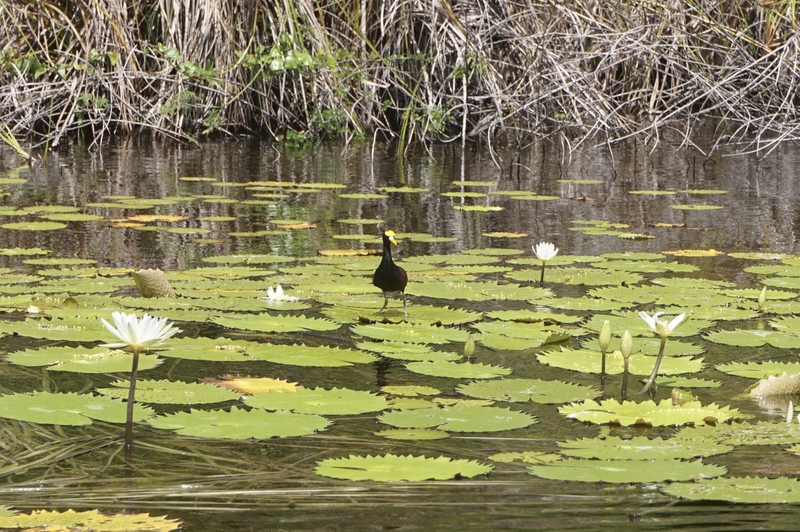 We met up with a few other tourists, and soon headed off on New River towards the ruins spotting birds along the way. Rain hit us hard about halfway to the ruins. Exposed on the river we got incredibly wet. Weather changes fast. Even with the crazy rain we managed to get this picture of a calm river a few hours later. We felt all alone in the world with only our boat on the river, besides a few fishermen, some local boys, and a group of Mennonites. Shortly, we felt like part of an old movie until our guide explained us that the Mennonites are a group of European settlers speaking a German dialect and living after principles of not using machinery, electricity, cars, etc. 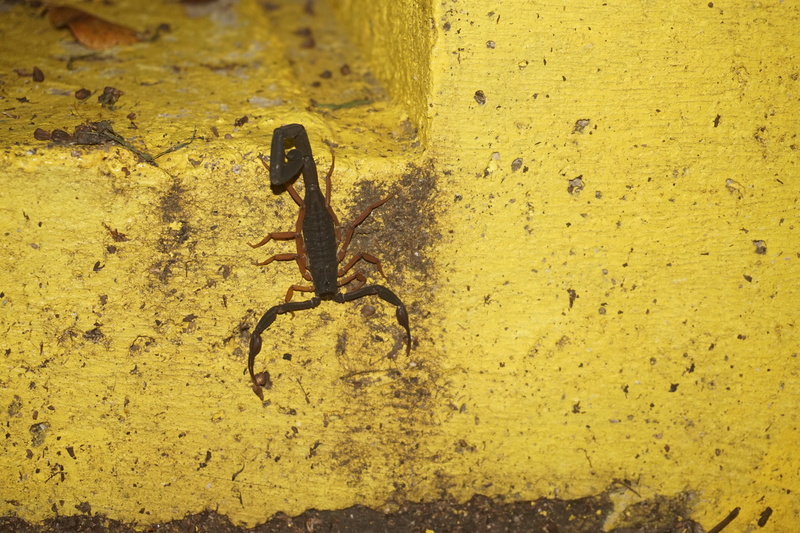 They are easy to identify, as the men always wear overalls and hats, which is not a common dressing in Belize. 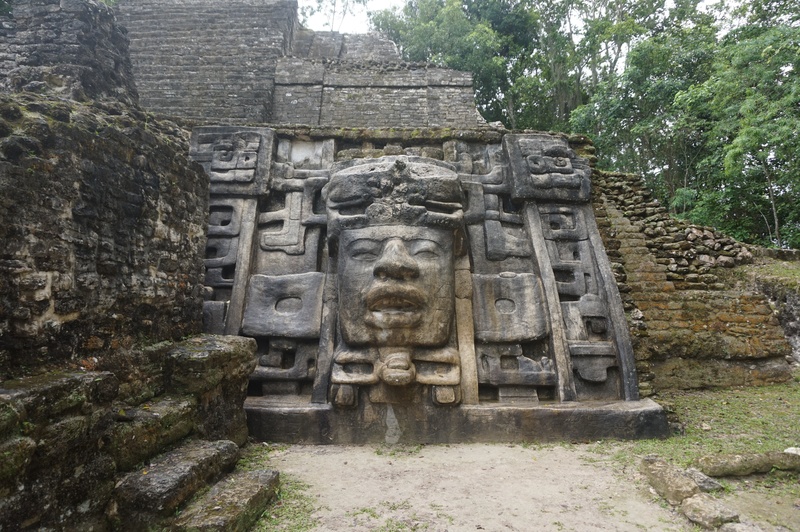 The feeling of being all alone continued when visiting the ruins. 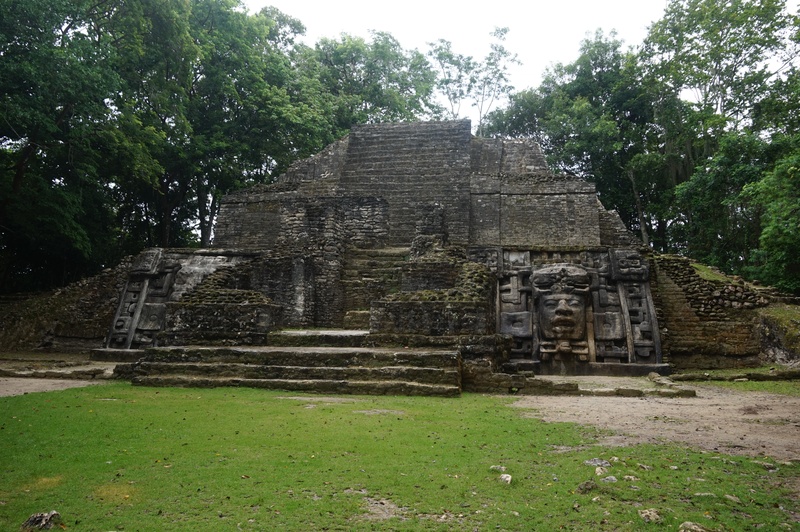 Only the six people in our group and another two tourists had made their way to Lamanai this day. However, we learned that on “cruise ship days” there could be thousands of tourists doing this trip. Kind of weird to imagine such a difference between “slow days” as they call it, and “cruise ship days”. However, we were quite satisfied to have the place almost for ourselves. 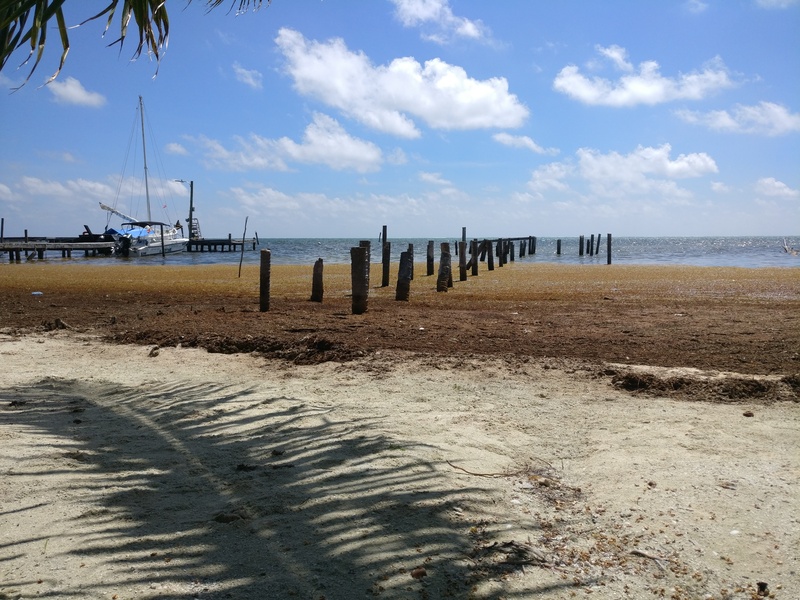 The next day we headed towards Belize City to catch the ferry to Caye Caulker, an island near the Belize Barrier Reef. Mexico learned us that a bus always takes half a day, and as you can only get local busses in Belize we feared the bus ride. However, it took just about an hour and a half, was very organised, and felt almost comfortable even though it was one of the old American school busses which run everywhere in Central America. And everything just gets easier when you can speak English with the locals! 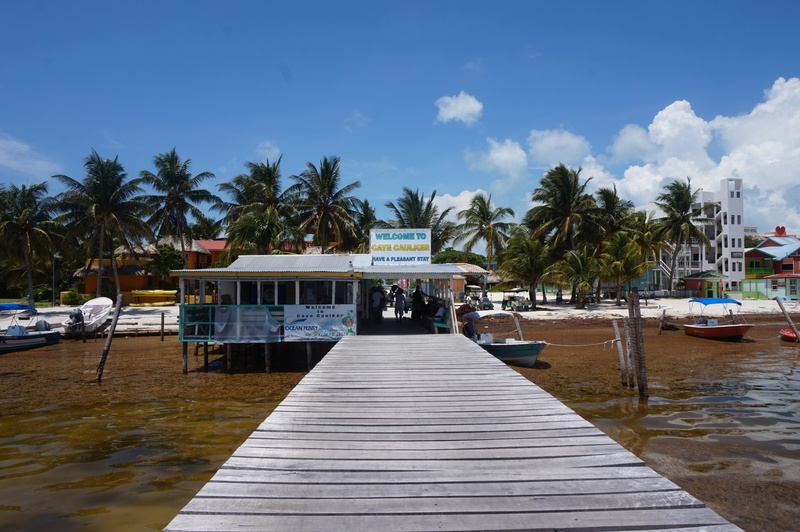 Soon we arrived at Caye Caulker — a tourist paradise island or one big tourist trap depending on who you ask. We kind of liked it as we found a great hostel, and the local tour operators seemed quite relaxed about tourists shopping around to find the best tours. 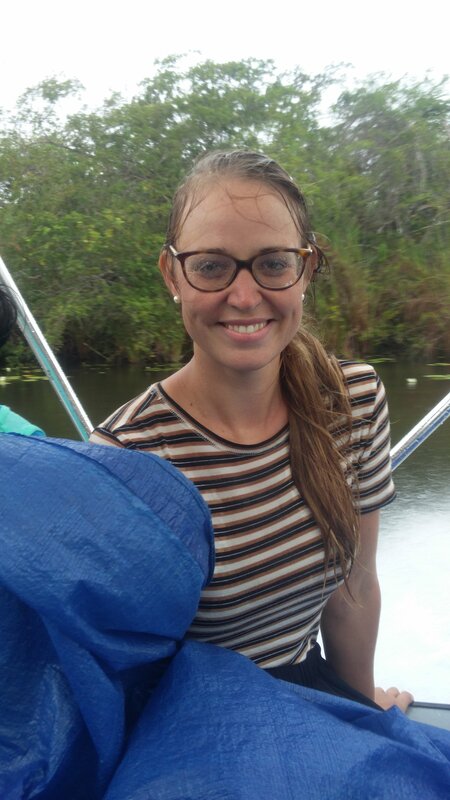 Starting our snorkelling trip to Belize Barrier Reef the next day, we learned that their relaxed attitude merely stems from the fact that they all pool their customers together and take turns running the trip in low season. It makes absolutely no difference who you book with! 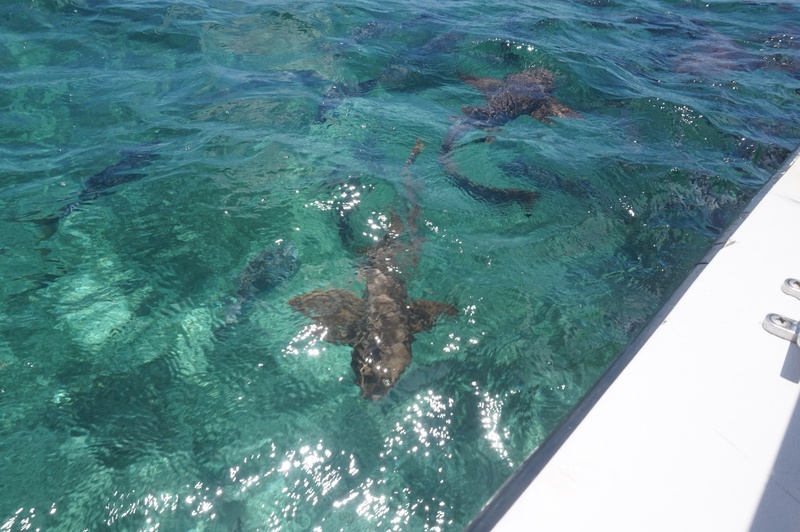 None the less we had an amazing day of snorkelling — we saw manatees (a type of huge marine mammal), nurse sharks (yes, sharks! ), endless numbers of colourful fish, tiny seahorses, and the most beautiful corals. Unfortunately, we have no camera for water activities, so you will have to imagine it all 😛. 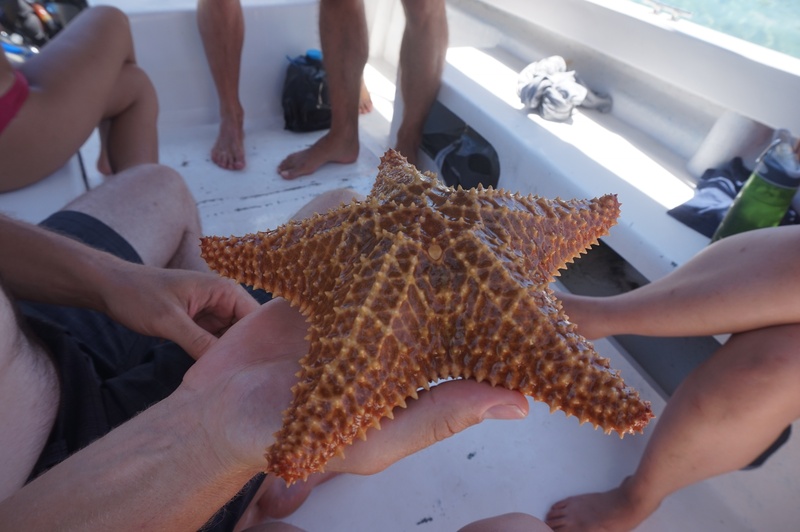 Besides unforgettable views of marine life, we got a bad sunburn, a burning rash from some unidentified sea weed, and reached a state of total exhaustion from being in the water and sun all day. However, we would definitely do it again 😄. Next stop: The jungle! 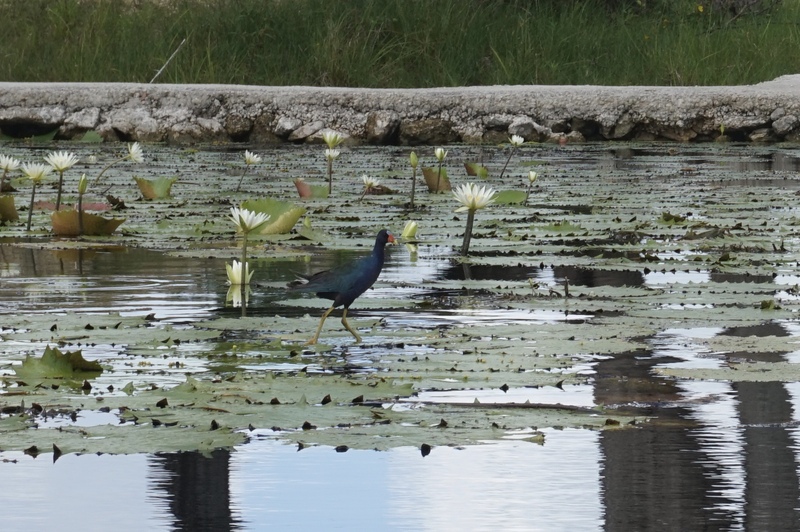 We took another surprisingly short bus ride to the capital of Belize, Belmopan — just about one hour. We started to love this tiny country where you can change environment so fast! We hit a minibus taking us to the suburb of Salvapan, where we had found a great little place to stay. 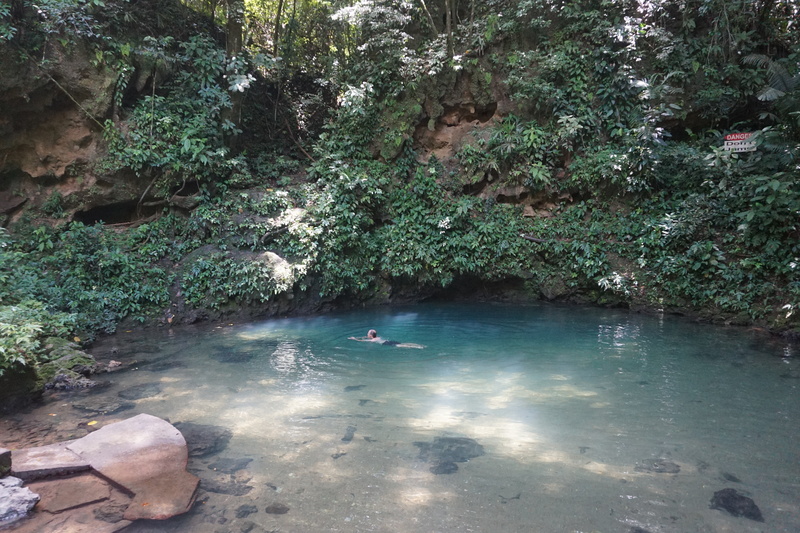 When we say suburb it is kind of an exageration, and the Belizeans know this: The minibus driver simply called it Salvapan Village and took his time by driving only 15 km/h around the whole village while telling us about his bus route. 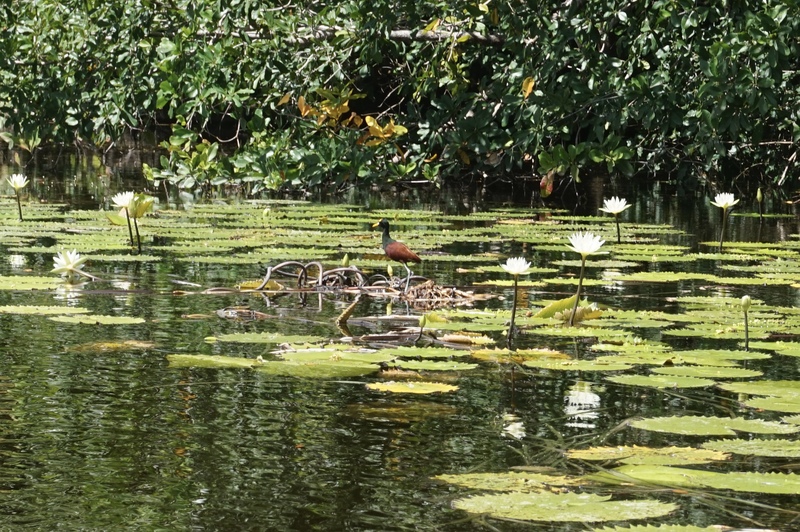 It turns out that Belmopan has less than 20,000 inhabitants making it one of the smallest capitals in the world. Furthermore, it was constructed for this purpose around 1970 after a big hurricane took down Belize City. In our eyes it looks like they have built a government building, a park, and a bus terminal in between three villages and called it a city 😛. 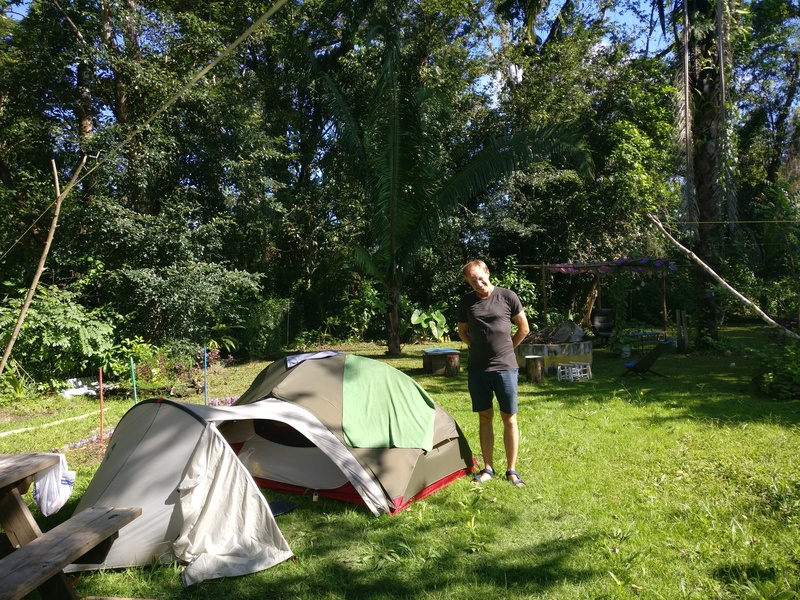 We liked Belmopan though, and specially our little jungle hideout at “Belmopan Tiny Houses”, where we pitched our tent in the backyard. 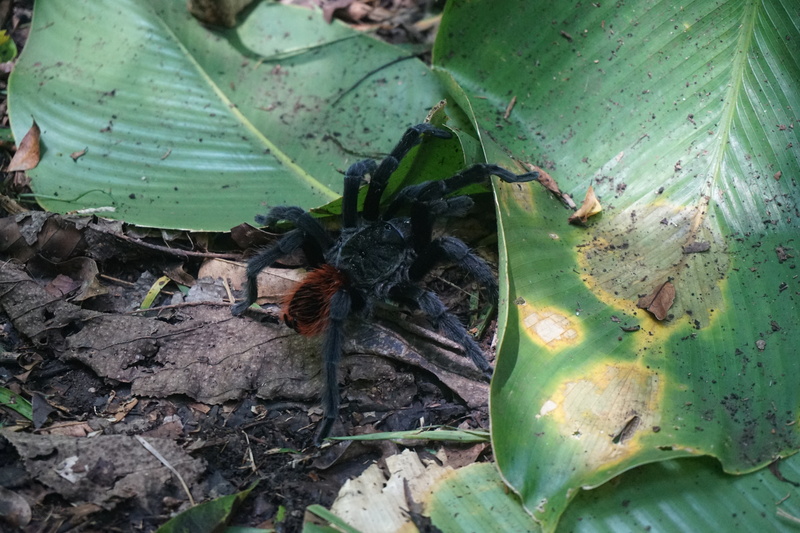 We enjoyed the jungle feel with a few permanent residents, Mr. Scorpion, and Mr. Tarantula, and a lovely American couple. 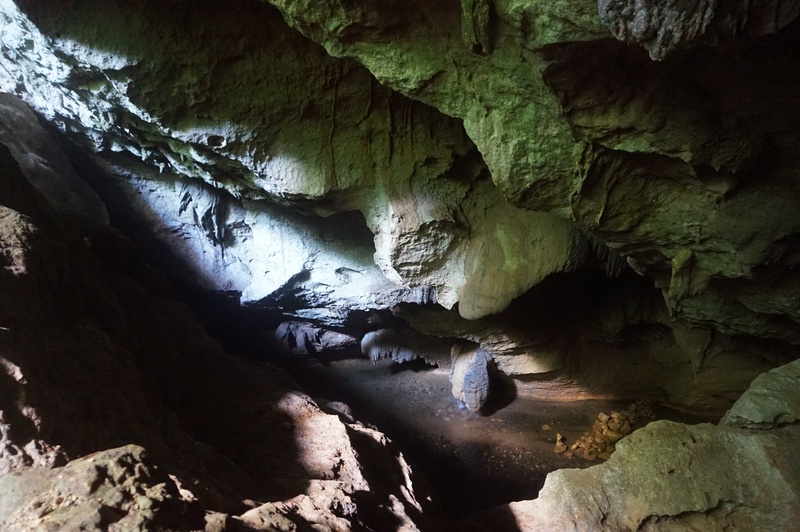 We took a day out to go to St. Herman’s Blue Hole National Park. 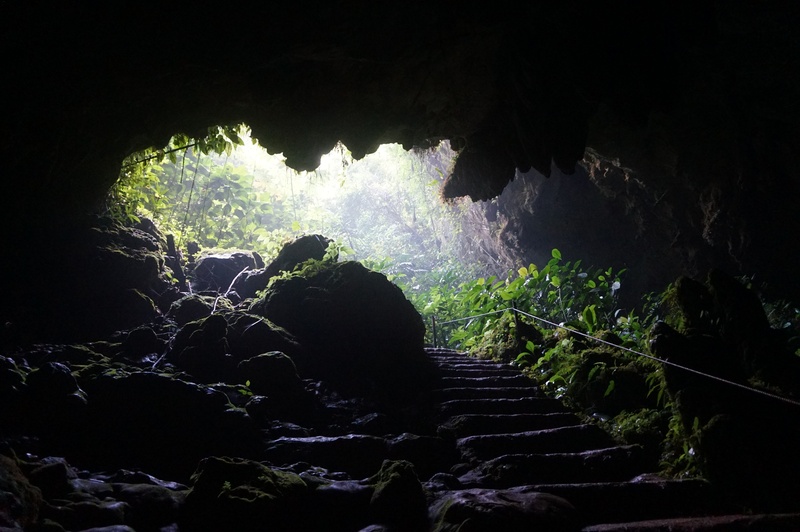 This is a triple attraction national park: A big cave, a jungle trail, and a cenote so deep that it looks like a “blue hole”. 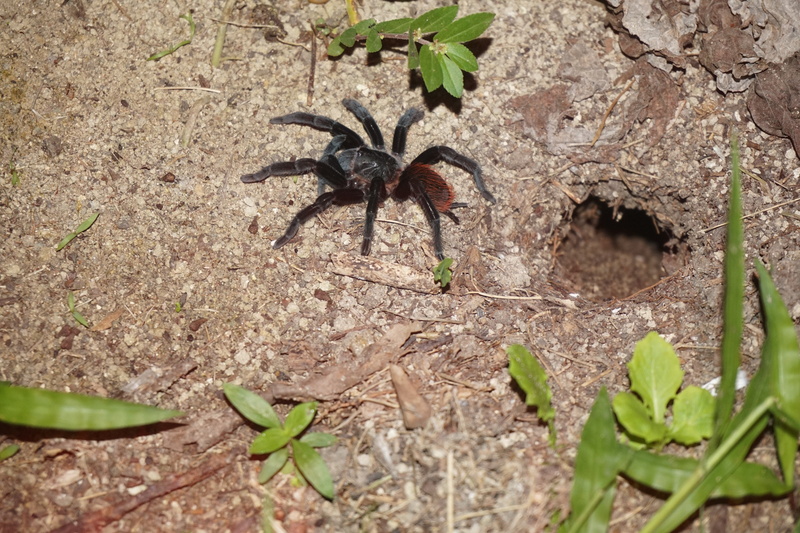 Only unexpected surprise: Mr. Tarantula II, the size of Gitte’s hand… After such an encounter you do indeed need to cool down in some cold freshwater! From the American couple we learned that Belize where to play soccer against Bahamas in the CONCACAF Nations League that same evening. We decided to go and see some Caribbean soccer. The match was a qualifying match to place the many countries in North and Central America, and the Caribbeans into tiers. The purpose is to create a yearly round of matches in each tier to give each national team more matches than today, and thereby come closer to take part in international competitions. Improvement is needed before they get there according to Gitte’s experiences from a few matches in the Danish Super League 😛. 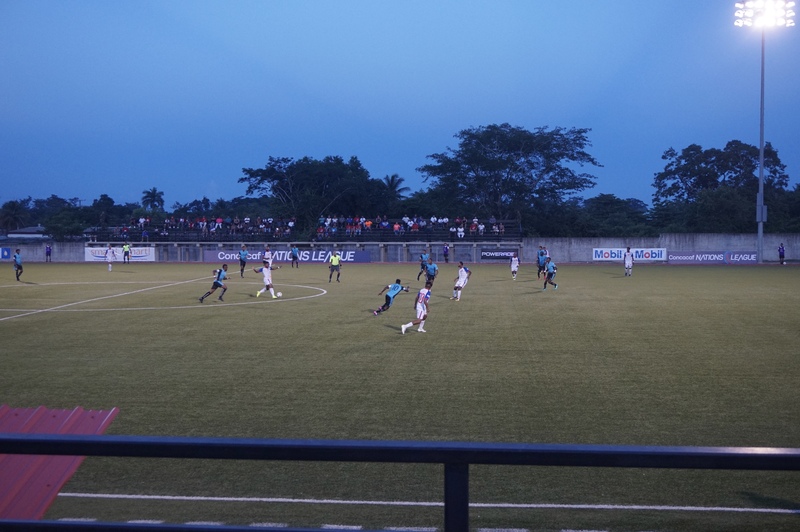 Belize won 4-0, but according to the very few fans from Bahamas this was only because Bahamas did not really have any professional players, and as they are not paid to play they cannot take time off from jobs to go to another country and play. Therefore, many of their team members where incredibly young. Our best guess is that Belize will have the same problem when time comes for the return match. 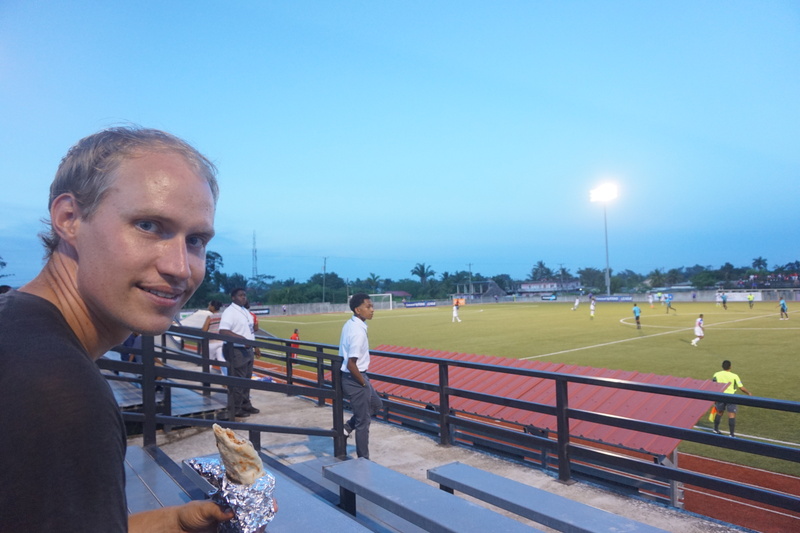 Nonetheless, it was a great experience to eat burritos at the stadium! This way our Belizean adventure came to an end, and we found our way to the Guatemalan border. 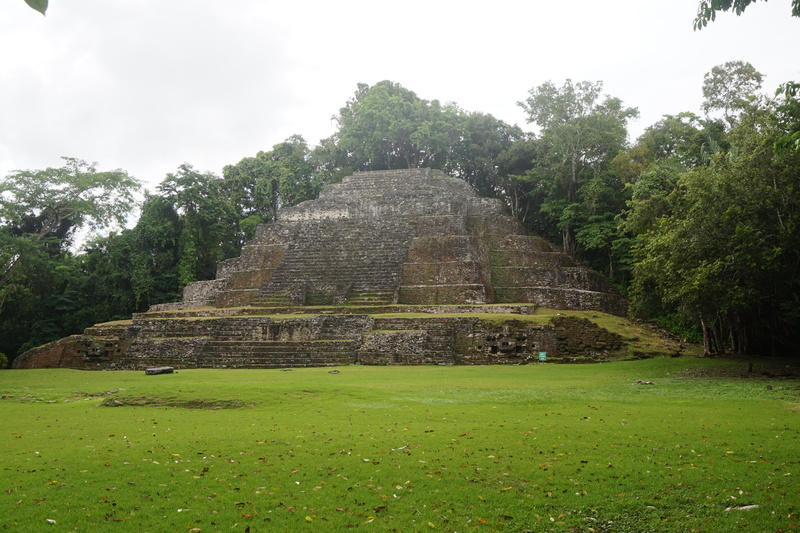 Next stop: The jungle ruins of Tikal!